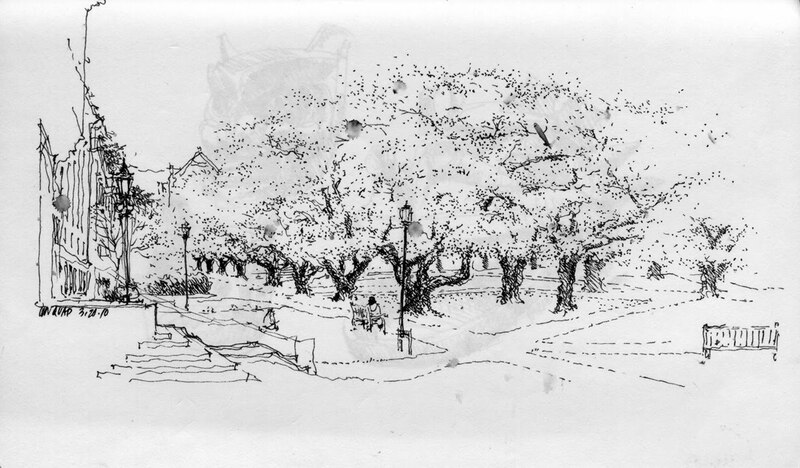 A little late posting but here is my attempt at capturing the cherry trees in blossom in the UW Quad. Trees and water are for me among the most difficult subjects to draw in pen-and-ink because I have to suggest their presence by drawing everything else around them. 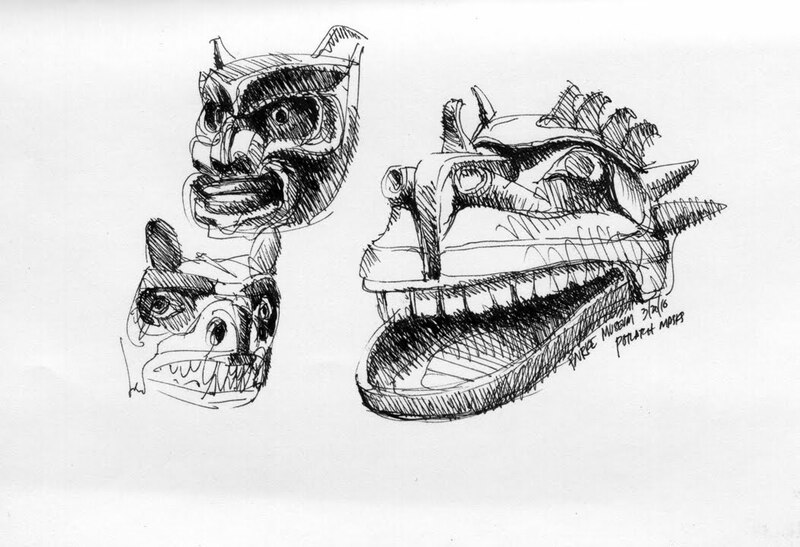 On the other hand, I love drawing sculptural objects like the masks in the Burke Museum. Thanks for posting these. I love the way you captured the texture of the cherry blossoms with the dots...It is how you used those dots and values that really get the quality of the blossoms. Love the masks. Great value and tone. really cool! i learned a lot just by looking at these and see how you handled the trees, thanks for posting them! Love the masks - great subject.